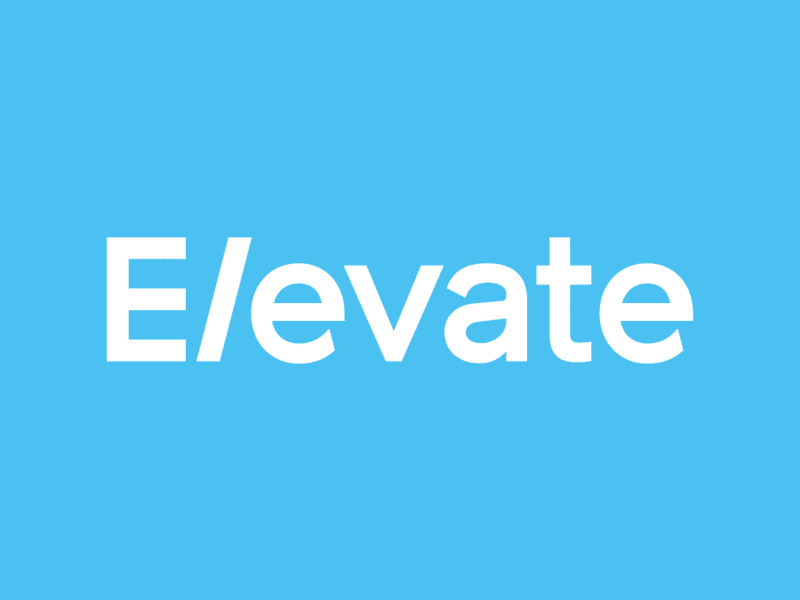 Elevate offers innovative online credit solutions that provide immediate relief to customers today and help them build a brighter financial future. The company is committed to rewarding borrowers’ good financial behavior with features like lower interest rates, free financial training, and free credit monitoring. Elevate’s suite of groundbreaking credit products includes RISE, Sunny and Elastic. The company is privately held and is backed by respected Silicon Valley venture capital firms including Sequoia Capital and Technology Crossover Ventures. Elevate offers services throughout the U.S. and the United Kingdom. Elevate is an online provider of consumer credit services. It provides assistance to customers and helps them build a better financial standing using its online credit solutions. Elevate faces the security challenges that most Internet and financial services business face. It’s also a relatively new business that is pioneering a new approach to credit relief. So keeping consumers’ information safe is important to its reputation. Elevate’s security strategy is architected around protecting its customers’ data rather than just the physical assets the data resides upon, says Jim Desmond, Chief Security Officer for Elevate. He notes that focusing solely on perimeter security is an outdated notion and many companies are finding it difficult to shift their thinking around data security. “It a fairly difficult concept to achieve,” he notes. That’s part of the reason Elevate turned to Masergy Unified Enterprise Security (UES) to bring additional manpower and expertise to address the rapidly changing threat landscape. “I have a staff of security professionals but without Masergy, I would have to add three or four more staffers to maintain a 24/7 rotation” on security threat monitoring, he notes. Desmond chose Masergy after conducting a side-by-side comparison of its existing managed security service provider and Masergy. “We ran one of the largest managed security service providers in parallel with Masergy and after about 3 weeks, we were more than happy to cancel our contract with the large vendor,” Desmond says. Masergy won the Elevate contract not only based on its innovative technology and ability to integrate with existing security point systems, but also based on its expert customer support. When Elevate security personnel called their previous service provider, they spoke to non-technical people in call centers who filled out trouble tickets. “They only knew the operational procedures displayed in front of them. They couldn’t think outside of the box. They never did any extra analysis,” Desmond says. There are lots of security point solutions on the market that help companies secure their physical environment and reduce exposure to certain types of threats but these approaches are not durable or extensible, Desmond notes. “Being able to filter all of the data and effectively find the proverbial needle in the haystack is the big challenge. The goal is to get your team to detect and react immediately. That’s absolutely critical,” he says. The Elevate security team has found the Masergy UES feature that automatically blocks traffic hitting up again its firewall especially useful. The ‘autoshun’ feature creates access control lists (ACL) directly on the firewall to block Internet hosts that Elevate and Masergy don’t trust. “This feature alone has saved my team 20 hours a week in firewall requests,” Desmond notes. “I have quite a bit of trust in Masergy’s ability to detect and react in a far more rapid and more cost-effective manner than my team alone would be able to do,” he adds. Elevate’s IT security team is starting to work with the company’s Risk Management department to share data and correlate events. Desmond uses the weekly threat management reports he receives from Masergy to identify potentially fraudulent behavior and pass this information on to the risk team. The Masergy security team uses its behavioral analytics and machine learning technology to analyze traffic and computer behavior. By combining technology with human expertise, Masergy security pros can correlate current events with historical information and highlight anything that looks suspicious. “The managed security market is becoming somewhat commoditized; every vendor tells you the same thing: ‘We have the latest technology‘; ‘We go the extra mile’; We have security professionals who care about customers,” Desmond notes. But Masergy was able to show rather than just tell us what makes the company unique. Masergy’s advanced technology, proactive threat monitoring and the quality of the security professionals “makes all the difference in the world to us,” Desmond concludes.